The start of the school year is always exciting and busy, but this year it had more excitement than any of us cared to experience. Orientation and starting devotions for the 2017-2018 school year were held on Monday, September 4. There are over 225 students registered and more continue to come to enroll. 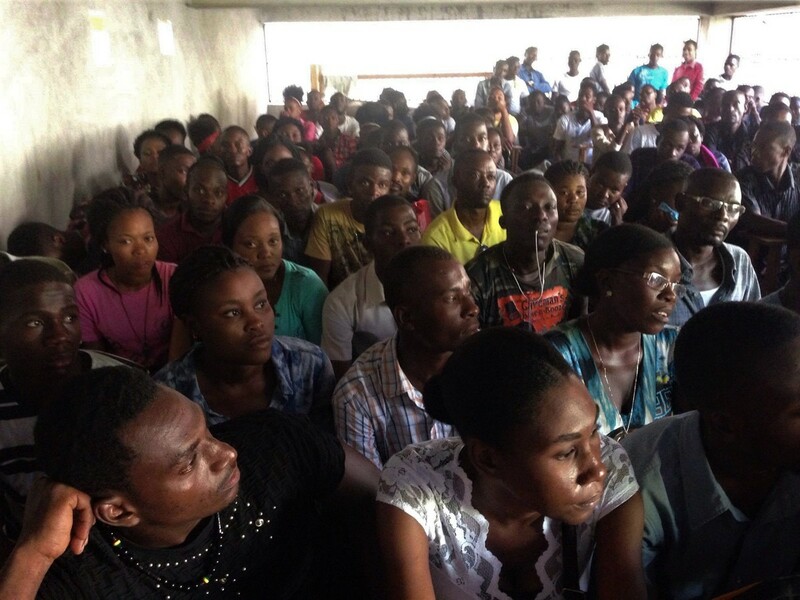 Almost every class is filled to capacity including the new sewing class that has 30 students! The demand was so great for the computer class that a third class was added. Everyone was geared up and ready to start their classes. Hurricane Irma caused a change of plans. As the storm approached Haiti, many people were praying that God would spare Haiti from a direct hit. It was so terrifying to know that many of our friends were possibly in the direct path of the storm. We praised God that Haiti suffered no more than a severe storm. The school didn’t suffer any damage and our friends were all safe. Our prayers are with those who did get hit by this giant storm. After the danger had passed, classes did begin and things are off to a great start for the new school year. It is thrilling to see so many people throughout the northwest region of Haiti able to receive marketable skills and getting jobs after they graduate. Each year brings more and more people that are looking to improve their lives and the lives of their families. With new opportunities comes new responsibilities for Beyond Relief. 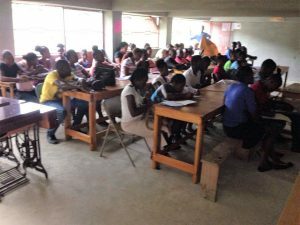 The school continues to strive to keep the cost of the education affordable for the Haitians. 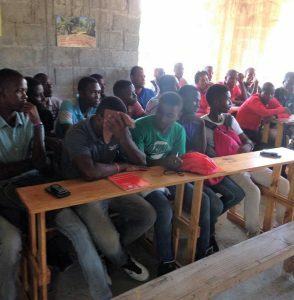 We are dependent on donations from people in the U.S. that share our vision to provide affordable vocational training for as many Haitians as we can. We still need people to commit to providing $35 a month scholarships to cover the cost of running the school. It is especially needed to provide for the new sewing class. Can you provide a $35 a month scholarship for one sewing student for 2 years? It will impact the student for the rest of their life! One time donations toward supplies for “hands-on” learning such as sewing supplies, tiling tools, etc. Donations toward expanding the solar system so that we have to use less gasoline which is very expensive and sometimes is hard to get. We still need a lot of black graduation gowns. More students attending mean more students graduating. Contact us at info@GoBeyondRelief.org if you can help with this. Spreading the word as we look for others to join in this work. Follow Beyond Relief on Facebook and Twitter to get regular updates. Pass this newsletter on to friends, to your church and to service organizations. Words cannot express our gratitude for all of your support. Thank you for all you do to make this school possible!! Rita2017-09-14T14:27:55-05:00September 14th, 2017|Comments Off on September comes in with a whirlwind!